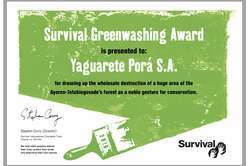 Survivals Greenwashing Award 2010 has been won by ranching company Yaguarete Porá. 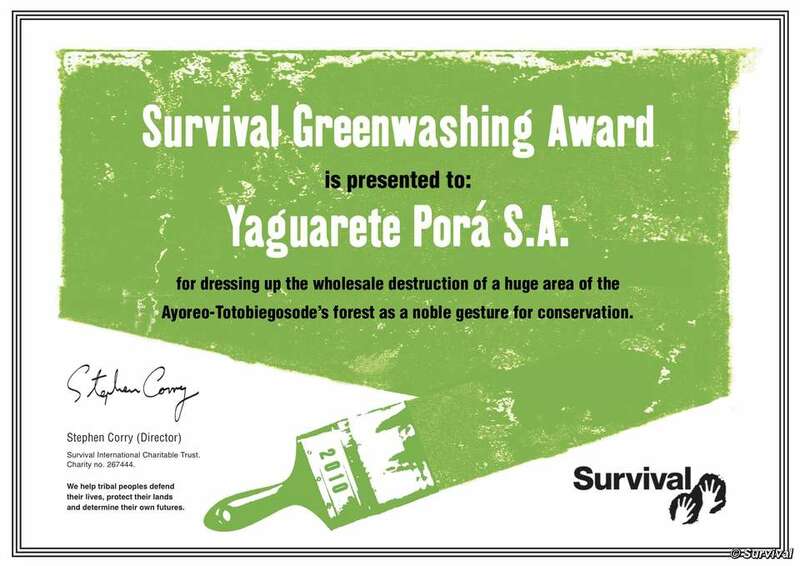 A Brazilian company bulldozing an uncontacted tribe’s land in Paraguay has won Survival’s ‘Greenwashing Award 2010’. The company, Yaguarete Porá S.A., has won the award for ‘dressing up the wholesale destruction of a huge area of the Indians’ forest as a noble gesture for conservation’, says Survival’s director Stephen Corry. Yaguarete owns 78,549 hectares of forest that is part of the Ayoreo-Totobiegosode tribe’s ancestral territory. After satellite photos were published around the world revealing that it has destroyed thousands of hectares of the tribe’s forest, the company issued a press release announcing it intends to create a ‘nature reserve’ on its land. But plans submitted by Yaguarete to Paraguay’s Environment Ministry reveal that the amount of ‘continuous forest’ in the reserve will be just 16,784 hectares out of the 78,549 hectares total, and the company in fact plans to convert around two thirds of the land to cattle ranching. Some of the Totobiegosode have already been contacted and vehemently condemned the plans for the ‘reserve’, pointing out that it violates their rights under both Paraguayan and international law. The contacted Totobiegosode have been claiming legal title to this land since 1993, but most of it is still in private hands. 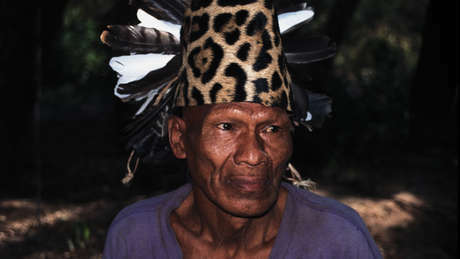 The Totobiegosode are the only uncontacted Indians in the world having their territory destroyed for beef production. Hectares of Totobiegosode land ‘owned’ by Yaguarete Pora S.A.